Be blown away by high velocity airflow. Keep calm and stay cool with the wonderful high velocity airflow this Kambrook fan provides. Simple in design, serious about airflow. 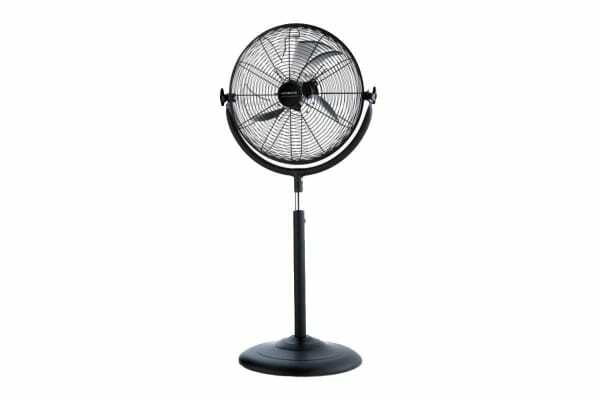 The Kambrook 40cm High Velocity Pedestal Fan is what you need to get you through the heat. Save on power bills; no need for air conditioning all day when all you need is a cool wind your way. With all the features you need out of a fan, this all metal fan – including fan blades – is quality where you need it most.